Ever wonder where to get all the pretty elements that create those beautiful rooms that we see on Pinterest? Me too!!! That’s why I started taking some of my favorite spaces and digging through the trenches of the internet to find out how us regular folks can get the same look. 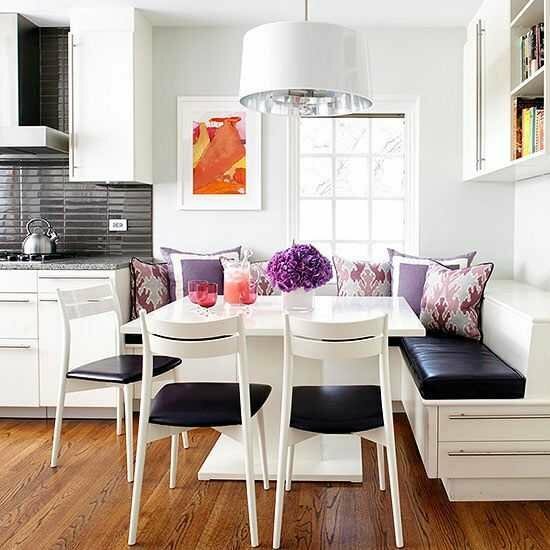 I don’t know what it is about dining spaces, but I seem to pin them to my “dining room love” board on Pinterest A LOT. This one just looks so clean and simple and I love the idea of creating a booth. My grandma had one in her home when I was a little girl and it was so much fun! I love the simple touches that this space has and it is so clean! What is your favorite part? My new favorite tool for keeping dark floors clean! 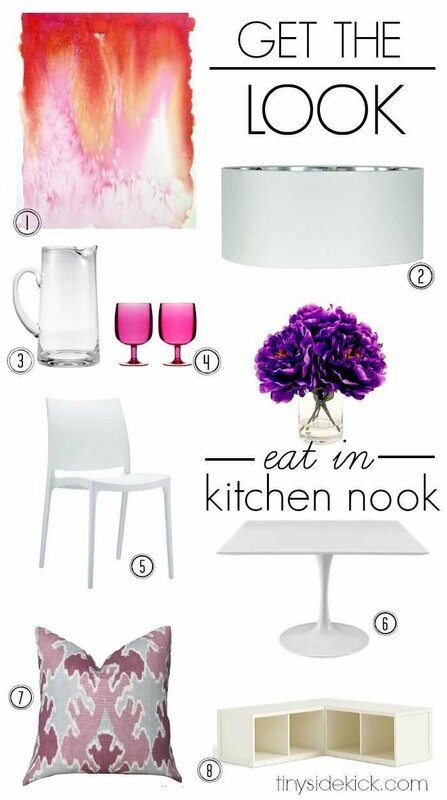 The eat in kitchen nook looks wonderful. Thanks for letting me know. And sorry about that. I updated the post and here is the link to the watercolor painting. http://tidd.ly/1f6cd677 It is so pretty!